Clive Duncan Sanderson (BA Hons Designer~Maker) is the director of Charles Branson Design and is working on the beautiful Regency style metal structure which surrounds the Chelsea exhibit. Clive is the designer and maker of bespoke individualistic pieces of three dimensional artistic metalwork and sculptural pieces, mostly one off’s or limited editions. Inspired by the natural world, a creative partnership of inspirational design, and beauty of a hand making process. Emmerson’s Press are providing all the printing for the Chelsea exhibit. Emmerson Press provide the complete print service for a diverse range of business sectors. Our extensive portfolio of print services give our customers a comprehensive solution for all their printed material requirements. Stoneleigh Park is kindly providing the build space for the exhibit before it travels to RHS Chelsea. Comprising over 1,000 acres of land close to Coventry, Stoneleigh Park is a unique site and the perfect business location for science-based rural industries. Home to a cluster of over 60 businesses with their emphasis on food production, equine and livestock husbandry, sustainability, renewable energy, and the wider rural economy. Under a 150 year lease from the Royal Agricultural Society of England, Stoneleigh Park is being transformed by LaSalle Investment Management into a science park dedicated to rural sciences, innovation and business. Stoneleigh Park is part of the Business Environments for Science and Technology (BEST) Network, a group of six science parks that accommodates a vibrant, inspiring and productive community of forward-thinkers. 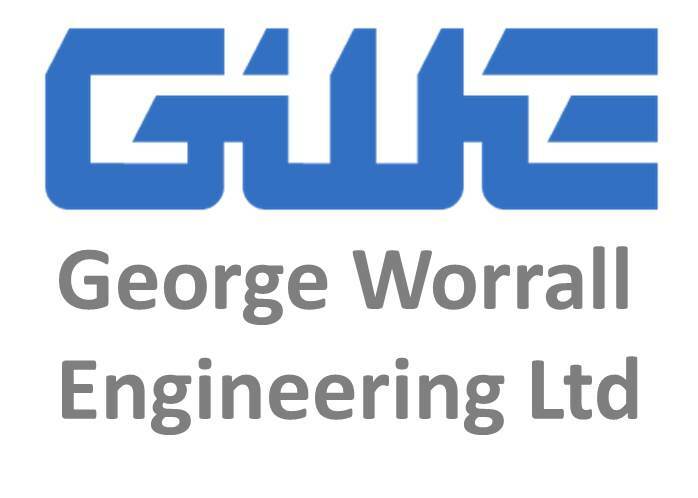 George Worrall Engineering are making the water feature for the exhibit. Warwickshire College are kindly giving space in some polytunnels at Moreton Morrell to grow some of our plants for the display and their Floristry students are helping Sarah Horne with preparations and flowers. A leading agricultural college, our Moreton Morrell centre covers 750 acres of countryside and is home to many of our land-based students. Table Art are providing the framework for one of the pods in the exhibit, transport of floral elements and lighting. 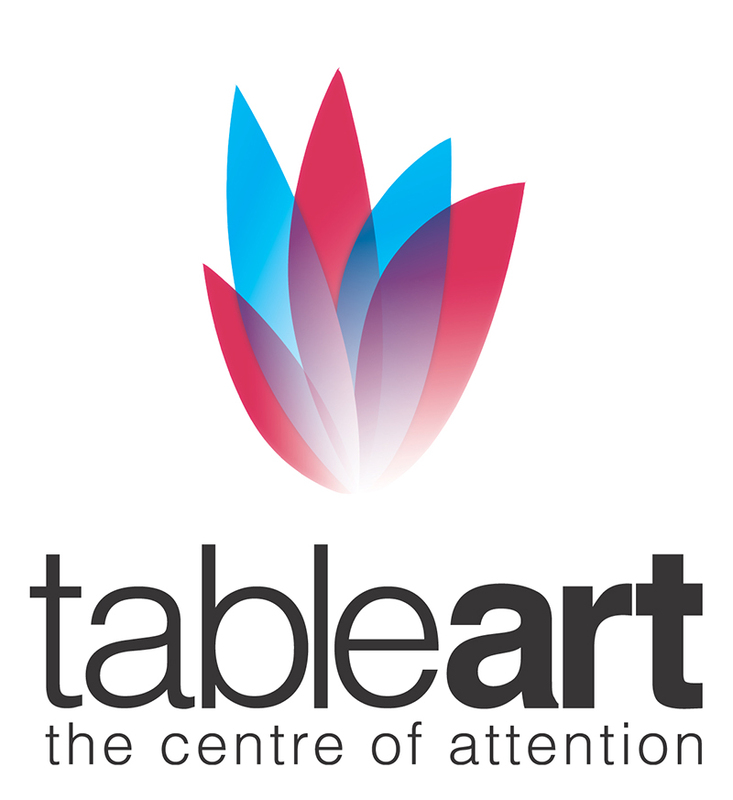 With over a decade of experience, Table Art have been designing and developing beautiful, contemporary table centrepieces that are works of art. We design and manufacture all our products in-house at our eco-friendly workshop enabling us to create Table Art to your own specifications. This includes adding your own logo or branding if required. Trident Design & Fabrications Ltd.
Trident are kindly making our Royal Leamington Spa Logo from Stainless Steel to be included in the exhibit. Trident design & fabrication specialise in all aspects of steel fabrication from initial design through to site installation on a national and local level, with an excellent reputation for quality and service. We have the skills and experience to design, manufacture and install a wide and varied range of products to suit your individual requirements. We pride ourselves in offering a professional and friendly service, and are always happy to offer advice to enable your project to run smoothly. The Leamington Spa HSBC branch has kindly donated funds to the project. Headquartered in London, HSBC is one of the largest banking and financial services organisations in the world. HSBC’s international network comprises around 7,200 offices in over 80 countries and territories in Europe, the Asia-Pacific region, the Americas, the Middle East and Africa. The luxurious ‘Indulgence’ Pod in the exhibit has been made possible by Esque Beauty who are contributing finances as well green fingered skills to help with planting. Esqué is a multi-award winning beauty salon, situated in the centre of Royal Leamington Spa. Offering a great variety of treatments from massages to manicures, facials to fillers & slimming to skincare, we’ve been making clients feel fabulous and look gorgeous for well over a decade. A client lounge, dry floatation room, dreamwave massage suite & eleven additional treatment rooms give you space, time and availability. New Horizon Logistics have kindly been helping transport parts of the exhibit locally during the building phase. Established in 2003, New Horizon Logistics has quickly become a market leader within its industry, providing an unbeatable combination of efficiency and reliability to UK companies, who demand the best from their suppliers. Squab Group have generously offered to help transport the exhibit down to London for the Chelsea Flower show in May. 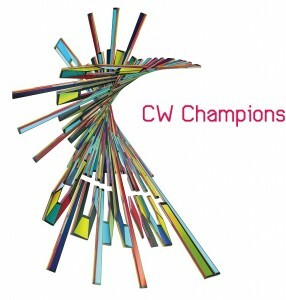 The Coventry and Warwickshire Champions have been providing marketing support for the RHS Chelsea project. The Coventry and Warwickshire Champions is a powerful network that brings together the knowledge, network, passion of businesses and organisations as a strong force to promote the area. Champions are proud and positive and recognise the difference they can make by championing it professionally, publicly and with pride. Chiltern Railways has kindly donated funds to the project. Regent Court Shopping Centre have kindly donated funds to go towards project costs. Regent Court Shopping Centre is situated in the heart of Leamington Spa and offers everything from high fashion, restaurants and cafes. The centre is filled with treats from fashion to lifestyle to food; encased by beautiful surroundings that create a relaxing atmosphere for shoppers to yearn over all the fabulous goodies. Elegant independents, famous name High Street stores and trendy eateries sit comfortably side by side in the only pedestrianised shopping street in town. 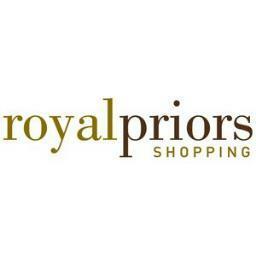 Royal Priors Shopping Centre have kindly donated funds to go towards project costs. Based in the centre of Royal Leamington’s Spa, Royal Priors is Leamingtons only indoor shopping centre. With its spacious malls, Royal Priors provides a relaxed shopping environment and an eclectic mix of big brand names, designer boutiques, independent stores and cafes. Fabulous Designer Jewellery store in Leamington will be hosting a fundraiser event on Weds 14th May with 15% of sales going towards the Chelsea project. We believe that contemporary jewellery is exciting, glamorous, beautiful, and always fabulous! It shouldn’t just wait for special occasions, it should be worn, treasured and enjoyed every day. Mallory Court Hotel have been supporting the project and have donated a fantastic raffle prize for the Fabulous Fundraiser evening being held on 14th May. Mallory Court Hotel is a magnificent 31 bedroom manor house, set in 10 acres of grounds, is the epitome of a quintessential English country house hotel. Elegance and style personified, Mallory Court is the matriarch of our hotels and has a pedigree and history that has long been associated with great hotel keeping. Guests to Mallory inevitably fall in love and return time and time again. Rectory Garden Nurseries are donating some of the plants for the exhibit. Rectory Garden are specialist growers of herbaceous perennials based in the heart of rural Cheshire. We are a family-run third generation Nursery with over 40 years experience in the growing industry offering a range of over 600 varieties of plants in season. As a family business we pride ourselves in our dedication to quality, service and innovation and providing British-grown plants with known provenance. David Austin Roses are supplying the roses for the floral feature. 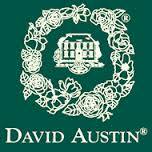 David Austin Roses was established in 1969 and remains a family business. David JC Austin has worked alongside his father for over fifteen years. Today the English Roses are grown in every rose-loving nation in the world, winning awards in many different countries. The company has won fourteen gold medals for rose displays created for the Chelsea Flower Show. Oasis Floral products are supplying the floristry foam and sundries for the exhibit. Emerald Business IT Communications have given a donation towards project costs. At Emerald Business Communications, our mission is to help you communicate more effectively & efficiently with your clients & colleagues. The metalwork is being constructed in the forge at Tooley’s Boatyard. Tooley’s Boatyard, situated in the heart of Banbury on the South Oxford Canal, is the oldest working dry dock on the Inland Waterways, having been in continuous use since 1790. The 86′ dry dock is fully covered and heated, providing excellent conditions to carry out a wide range of services. Also on-site is the 200 year-old forge, in regular use by our blacksmiths. Items can be made to order or why not treat yourself to one of the Blacksmith Courses we run? OM Safety Solutions have kindly given a donation towards project costs. Alan Green is helping to document the Chelsea story by making a film of the project. GG Media Ltd is comprised of Daniel Gwynne and Alan Green- two media video professionals who boast years of experience and an extremely creative eye. Specialists in Wedding & Event Videography, our goal is to create a moving candid experience and capture the emotions shared between you and your loved one (s) on the most important day of your life! Countrywide Tax & Trust Corporation Limited have kindly given a donation towards project costs. Webmoco have kindly given a donation towards project costs for our RHS Chelsea project. Webmoco built and have recently refreshed the RHS Grow Your Own mobile app. Webmoco is a software company with a difference…we are also a design company! We are a rich mix of enterprise software & IT experience combined with a deep understanding of brand, digital design and UX. 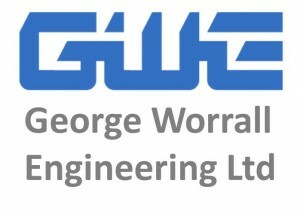 Our skills allow us to understand your goals and provide best practice advice and guidance about all things technical. Check out some of our work here. Identity Studio are designing the sponsorship document for the Chelsea Project. Identity Studio is a refreshingly dedicated design agency for organisations that want bespoke, creative, high quality marketing material that won’t cost a packet. From brochures, advertising campaigns, direct mail and stand graphics through to web design, e-marketing, events management, copywriting and corporate identities, we believe that every company, product or service has its own unique features and benefits, and therefore deserves unique treatment. Leamington Town Council have provided a grant towards the metalwork structure of the exhibit. Royal Leamington Spa became a borough in 1875 and the Charter of Incorporation, together with the Grant of Arms made the following year, are now housed in two handsome cabinets presented to the town by the Leamington Spa Courier. 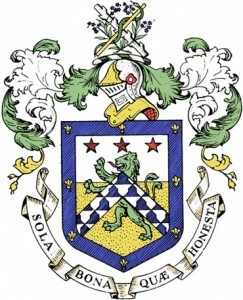 Following the abolition of the Borough of Royal Leamington Spa by the Local Government Act, 1972, custody of the civic insignia was given to the Charter Trustees, a duty undertaken until the grant of Town Council status in 2002. The Town Council is now the custodian of this historic legacy. Rolawn have generously supplied turf for the exhibit. Rolawn is Europe’s largest producer of cultivated turf, and is recognised as Britain’s leading supplier of high quality sustainable soft landscaping products, including topsoils, mulches, barks and composts. Rolawn Medallion® Turf and Rolawn Blended Loam® Topsoil have been incorporated into numerous medal winning gardens at RHS horticultural shows. Hill Close Gardens have very kindly donated some plants to our Chelsea exhibit. Hill Close Gardens are rare survivals of Victorian hedged gardens. They are sited on sloping land next to Warwick racecourse and were restored in 2006 with Heritage Lottery funding. The listed brick summerhouses have fine views and there are unusual fruit trees, extensive herbaceous borders and old varieties of vegetables and soft fruit. The large glasshouse offers protection for tender plants, and the contemporary visitor centre has a cafe and exhibition space. Gifts, plants and produce are on sale. There is a programme of special events for children. Cultural, horticultural and historical events are organised for adults throughout the year. The Leamington Farrow and Ball store have donated paint to paint the arbour of the exhibit. Alsters Kelley Solicitors have given a donation towards project costs. Based in Coventry, Leamington Spa and Nuneaton, we are one of the largest solicitors firms in Warwickshire and the West Midlands. We have a team of specialist lawyers with a wealth of experience providing a whole range of services including; Wills & Estate Planning, Residential & Commercial Conveyancing, Litigation, Business Crime to more sensitive Family and Clinical Negligence matters. We offer affordable legal services with a quality and reliability that you can trust. Mark Wilson from Any Pond has generously given his time and skills to advise us on our water feature for the Chelsea exhibit. Any Pond Ltd are Pond Specialists in the Midlands, specialising in pond construction with our own packages, pond refurbishment, servicing of equipment & pond maintenance. Mark Wilson our MD has considerable experience providing consultations for private individuals and working for large business parks, private estates, property management firms, NHS, landscape architects, estate managers, golf course staff, groundsman public parks and British Waterways. 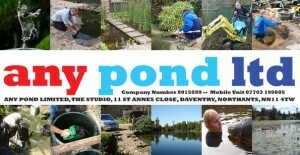 He is a hands on person and has directed the construction, planting and maintenance of many ponds, pools, lakes, pondless waterfalls and large public fountains. The National Herb Centre have given a generous discount on over 100 thyme plants used in the exhibit. You will find an extensive range of herb plants to delight the chef, intrigue the gardener and fascinate anyone with an interest in herbal remedies or alternative medicine. We also stock a variety of shrubs, alpines, climbers, fruit trees and roses. Onsite we also have a gift shop, bistro & nature trails. Vinteas are donating the Table and Chairs for the exhibit. Vinteas is a quintessentially English tea room, providing a large selection of award winning loose leaf teas and coffees, locally baked cakes, scones, breads and paninis, all served on vintage china. Local fashion designer Rachel David is making the bespoke dresses for publicity days. Rachel David – Textile Anarchist – creates inspirational fashion, costumes and wearable art all uniquely designed and hand made. Spangles American Diner and Sweet shop are providing drinks and snacks for the team whilst they are down at RHS Chelsea. American hotdogs , shakes and sundaes & iced teas. Spangles also sell American Candy , Soda, Snacks ,Sauces ,Groceries and much more directly imported from the USA, Rare brands such as Jelly Belly, Reese’s, Hershey’s, Jolly Rancher, Wonka & more. The I.S. Group are providing florist sundries for Sarah Horne to use in the creation of the display. The I.S. Group is the UK’s largest mail order supplier of florist sundries and offers a huge range of exclusive seasonal products, everyday essentials & an inspirational Wedding Collection all at value for money prices and backed by industry leading standards of customer care. The Kingsley School has assisted with space to mark out the exhibit and have given a generous donation towards project costs. The Kingsley School is fast becoming the girls’ school of choice for parents who value educational excellence in a caring environment where individual needs are recognised and catered for. Academic achievement is an important part of school life but this isn’t the only aspect of a Kingsley education that is valued; the Kingsley ethos is one which educates girls to be well mannered, well rounded AND well qualified. Kingsley offers a continuous education for girls from 3 to 18 and accepts boys in the Prep School from 3 to 7 years old. Basi & Basi Financial Planning have kindly given a donation towards project costs. Leask Accountancy Solutions have given a donation towards project costs. Julia provides the Part-time Finance Director service for SMEs that is affordable and by using web based accounting systems is very convenient. She is also an approved Enterprise Nation Growth Voucher Adviser. Leamington Jephson BNI have given a donation towards project costs. The Leamington Jephson chapter BNI is a group of professional business owners who work together to create business opportunities, which in turn develop and grow the Leamington community. As a community-focused group, we are delighted to support Leamington in Bloom, so that we can put both business growth and colour into the local area. Cloud Bookkeeping have given a donation towards project costs. 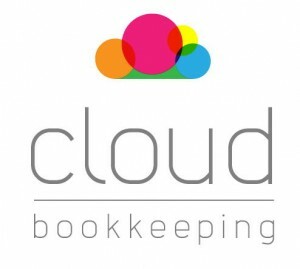 Cloud Bookkeeping is an outsourced bookkeeping practice. We prepare monthly accounts, payroll & VAT returns, generate monthly reports such as Profit & Loss and ensure all your paperwork is ready for your accountant at year end, which means less work and less stress for our clients. Sunflower Communications have given a donation towards project costs. With Sunflower, you’ll be working with a writer who understands people. The people you want to talk to. Sunflower Communications know how to get them to listen. We can write whatever you need. We’ll use plain, simple, elegant English to create fresh, engaging copy that gets results. Words perfectly placed to reach your reader. Words that will reach out and pull people in. Words that will persuade your reader to do what you want them to do. Copywriting that sells. Wall’s have given a donation towards project costs. Wall’s is now the only traditional independent electrical retailer in Royal Leamington Spa that offers a comprehensive selection of top quality products, supported by knowledgeable and experienced staff and backed by first-class after-sales service. We offer a good selection of Domestic Appliances and Home Entertainment products which are on display in our showrooms. Customers can compare the features as well as the sound and picture quality of flat-panel televisions from some of the worlds leading manufacturers in our first-floor demonstration showrooms. Arjan & team have helped with preparations of the water feature. Platinum Hand Car Wash offer professional and well priced services from Wash & Go to full valets. Centrally located in Royal Leamington Spa.